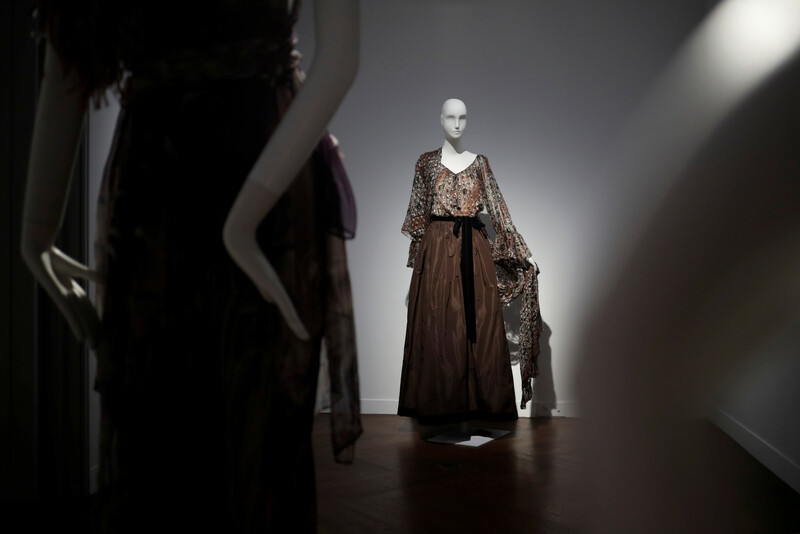 A beaded dress worn by Catherine Deneuve when she first met Alfred Hitchcock in 1969 was among dozens of her glamorous gowns sold at an auction in Paris on Thursday. "Catherine Deneuve is a very beautiful actress. She was always very, very well dressed by Saint Laurent, (so) it was an unexpected opportunity to see all the dresses, and possibly even buy one, if I (could) find the right size," Isabelle Lugagne, a 76-year-old, retired graphologist told Reuters. The Belle de Jour actress, a fashion fan often spotted at Parisian catwalk shows, put the dresses up for sale after parting with a house in Normandy, northern France, where she had stored them for decades. Saint Laurent - one of the 20th centuries' most influential designers, who popularized tuxedos for women, or "Le Smoking" - met the actress was she only 22. He died in 2008. Aside from the lot of 130 'Haute Couture' looks, a further 170 items are on sale in an online auction running until Jan 30.